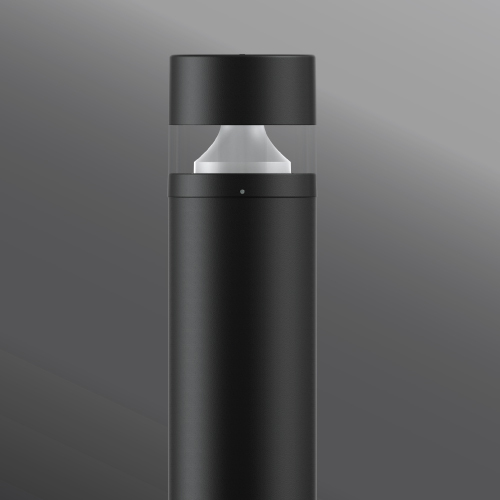 The innovative reflector technology of the Lightsoft bollard guarantees a high degree of efficiency and optimal visual comfort. Lightsoft has been developed to have excellent controlled downward light providing wide spacing ratios. It has three light shield accessories with different light distributions. 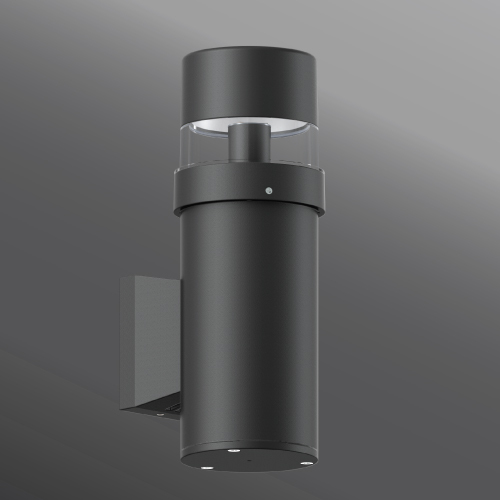 The Lightsoft is available in a cylindrical or square shape design with two different heights. 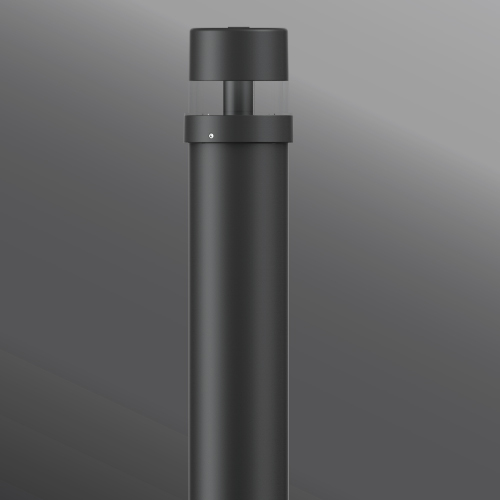 The Lightsoft bollard comes standard with a unique waterproof internal driver housing compartment that is situated at the top of the ople to stop water and dust from entering the electrical components. 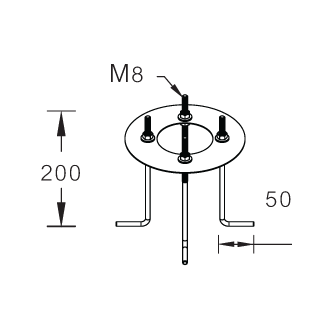 This fixture is supplied completely wired with powercord and waterproof gland from the driver enclosure to the base of the bollard ensuring quick, trouble-free installation. Custom bollard heights are available. Color temperatures include; 2700, 3000 and 4000 Kelvin. 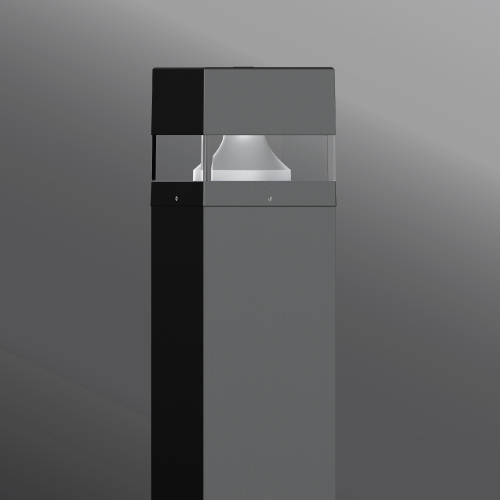 The Lighsoft bollard is available as a traffic rated security bollard. 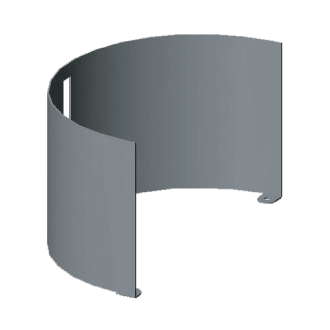 This optional design includes a 1/4" wall thick galvanized steel security pole with 2 solid 1" galvanized steel cross support rods that are embedded into concrete. 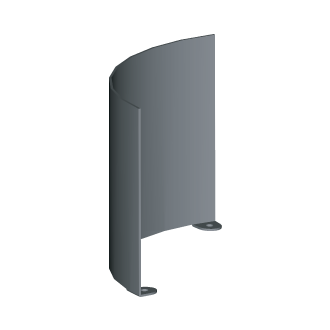 This security bollard provides restraint of vehicular traffic in unauthorized areas. Impact studies show that this bollard will stop a 5,500lb vehicle travelling at 30mph. For additional strength, the galvanized pole can be filled with concrete up to the waterproof driver housing to provide a solid concrete barrier. T4 HALOGEN CAPSULE 50w. 12v.